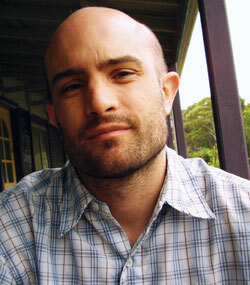 Stuart Cooke was born in 1980 and grew up in Sydney and Hobart. He has published poetry, translations, fiction and essays, and his books include George Dyuŋgayan’s Bulu Line: a West Kimberley song cycle (Puncher & Wattmann, 2014), Speaking the Earth’s Languages: a theory for Australian-Chilean postcolonial poetics (Rodopi, 2013) and Edge Music (IP, 2011). A new collection of poems, Opera, is forthcoming from Five Islands Press. He is a lecturer in creative writing and literary studies at Griffith University. Tags: australian poetry, author, inspiration, life, poet, Poetry, publications, reading, writing. Bookmark the permalink.